It's easy to look at the white trail behind a jet aircraft and imagine all manner of chemicals raining down from above. However, airplane contrails are simply what happens when jet engines burn fuel. Note how desperately illogical the liars can be when promoting deceit. Nobody says chemtrails are contrails. They just try to pass them off as the same without asking. They describe the process behind the formation of contrails, and then indicate that that "proves" chemtrails are contrails! That does nothing of the sort! Contrails always dissipate. Chemtrails do not. Note that, since 1997, there have been literally thousands if not tens of thousands of chemtrail photos. Before 1997 there is no such plethora of photos. 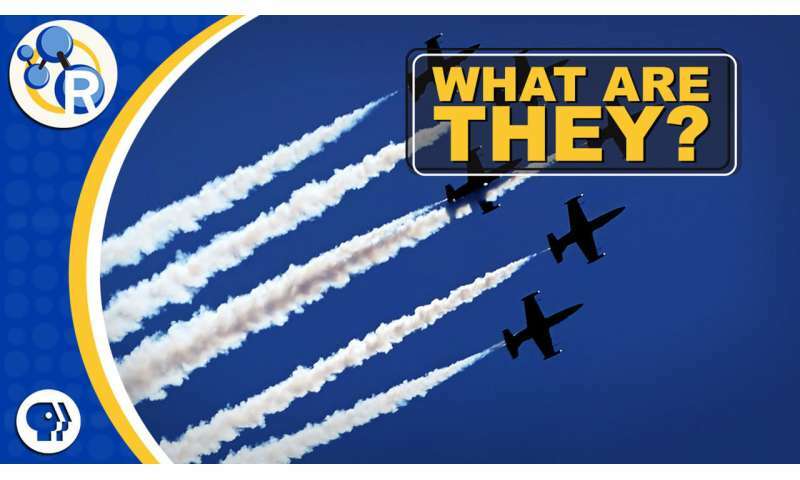 The most that "debunkers" do is show photos from air shows or photos cropped so trails only a few dozen feet long take up the whole picture. Note, too, the interesting fact that, on this same marquee for Phys Org, right across the page, is an article saying that viruses are constantly raining doe from the atmosphere. This is not necessarily so unusual a development. It was always a question, at least among those who were not shallow, that virus infections come from somewhere. Micro organisms are everywhere in the air. It looks very much, though, like they intend to start spraying pathogens from chemtrails, but, having "proved" that chemtrails are contrails, they need another source of upcoming micro organism onslaughts, so they will point to the article about micro organisms already being present everywhere. And the shallow wont ask such things as why there are more around today than there used to be.